My plan with this blog was to post all the information from the criminal investigation into Macho B’s capture and death that I legally could. I have accomplished that. Unless another intentionally suppressed document emerges from the depths of the AZGFD and/or USFWS or McCain invents another version of “But, I was THE victim!” in an inane attempt to gain back a tidbit of whatever credibility he had I probably will not post again. I left out the personal part of the story in this blog (mostly) so it focused solely on what was uncovered by the USFWS Special Agents during their investigation. I’ll get to the personal in my book. And speaking of personal, that is how I would like to end this blog. First, regarding whistleblowers. If there are any future whistleblowers reading this blog please check out: http://www.whistleblower.org (link also under blogroll) for helpful information and advice before you come forward. 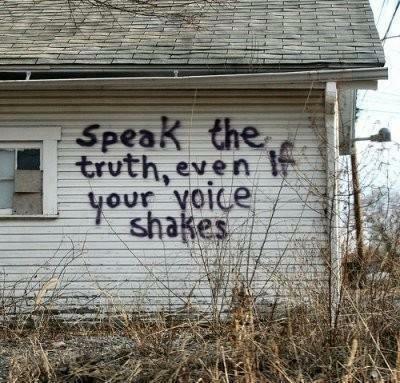 Speaking the truth is not always perceived as the respectful, decent, moral, or right thing to do. As a whistleblower be prepared for the emotional, physical, and mental stress that will occupy your daily life. Know that the moment you blow the whistle, life as you know it will die. Be prepared for the strain on not just yourself, but also family, loved ones, and friends. Recognize that some of these relationships may not make it through the strain. Be financially prepared; if you are not fired ( I was) then you will be isolated to the point of wishing you were fired or demoted. Hire a lawyer before you utter one word. I didn’t hire a lawyer until I was charged and by then it was too late. The idea is self preservation and protection. The people whom you are blowing the whistle on will come at you with everything they have, fabricate even more, and attempt to turn you into the “bad” person and themselves into the victim. Be aware of whistleblower laws and protections, each state is different. Know that if you end up in the federal judicial system the Obama administration has been the hardest on whistleblowers in recent U.S. history, if not its whole. Adjust your expectations in the value of truth and justice. The truth is often inconvenient in whistleblower cases and the opposition will try to suppress, manipulate, and delete it. Justice is rarely found in the legal system. In my case it was absent. It is unforgivable that whistleblowers are consistently retaliated against while those that remain quiet and uphold the status quo do so out of fear of said retaliation and those that are intentionally breaking the law and/or are endangering other lives, something or someone seem to persist in the shadows unscathed. Macho B was an individual jaguar that lived and thrived in a vast and diverse ecosystem that spanned from southern Arizona into, in all probability, northern Mexico. He was not a symbol for open borders, wilderness designation, wild places, conservation, an organization, agency, or an open mine pit-free landscape. He was just a jaguar trying to survive in the world. If anything can be deemed symbolic of his life, it is the end of it. His snaring and death are symbolic and indicative of all that is wrong in wildlife conservation. If you see a jaguar in the wild please thank the stars, luck, the universe, God, or better yet, the jaguar and appreciate the moment. But, PLEASE do not call AZGFD, USFWS, or the University of AZ jaguar project to report the presence of the jaguar; they will end up endangering the animal, if not killing him or her. 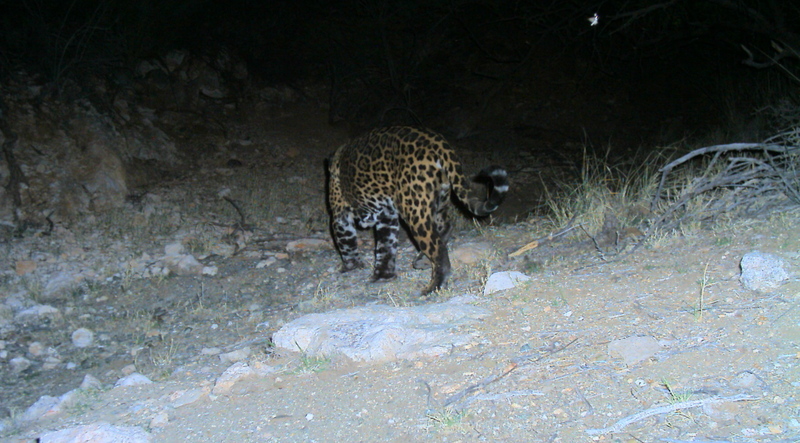 Several prominent biologists have stated that Macho B’s existence, or any other jaguars’ in southern AZ or New Mexico are not significant to the jaguar species as a whole. That argument has always seemed odd and callous to me as it comes from biologists whom supposedly want to conserve the species, Panthera Onca and are interested and invested in the lives of jaguars, yet they cherry pick which individuals of the species are important based on geography and funding. Macho B was important; he was a life, an endangered life by legal definition and his death was significant to the survival of his species. Because, if an individual jaguar’s life cannot be respected then how can the lives of the species be as a whole? Hi Janay, I’ve been following the blog for a while, mostly reading via RSS/Google Reader. What happened to Macho B was a tragedy and, sadly, probably indicative of the general state of affairs in wildlife conservation in this country and in this state. You’ve done a good thing here, maybe the best that can be done under the circumstances by a lone person. Your courage is inspiring. Thank you for taking the time to learn about Macho B’s story.